That was it. 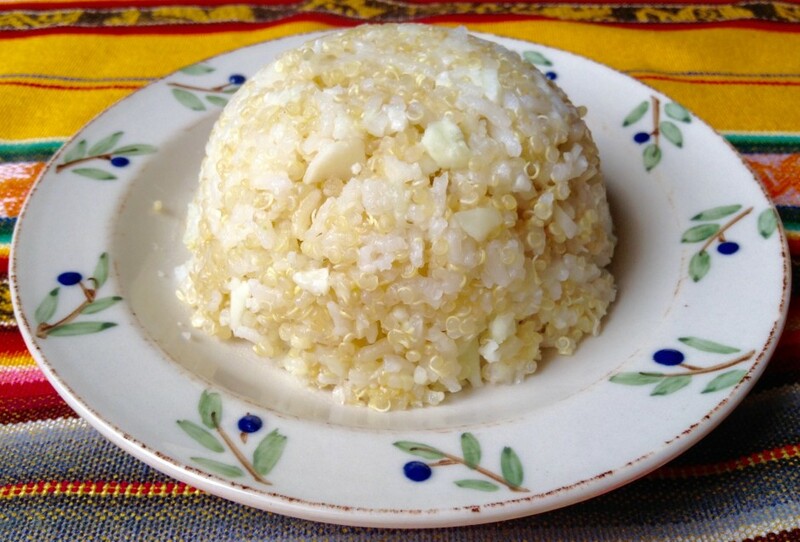 I had spent seven months in the Philippines and two years in Mexico and I still cooked rice like a Greenwich girl… all sticky and gooey and clumpy. I had been taught that it was key to use exactly twice the water to rice and also to never, ever, lift the lid of the pot while it steamed. I followed this to a T every time, and for years, and still I got goopy “Gringo rice” every time. Back in the 1970s, my dad, who had is own ad agency, rejected the marketing of a brand called “Success Rice,” claiming that the concept was a ploy: that people all over the world found making fluffy rice easy breezy and would only laugh at the little, holey, pre-measured, steam bags made for us WASPY white-bread types who bought into the idea that rice making was a mystery, that rice-making required a special touch. The morning after my dinner party rice disaster, I marched over to my Panamanian neighbor Leticia’s house, refusing to leave until she showed me exactly how Latinas make their rice all light and fluffy. Since that day, never ever has as my rice been met with disapproval. 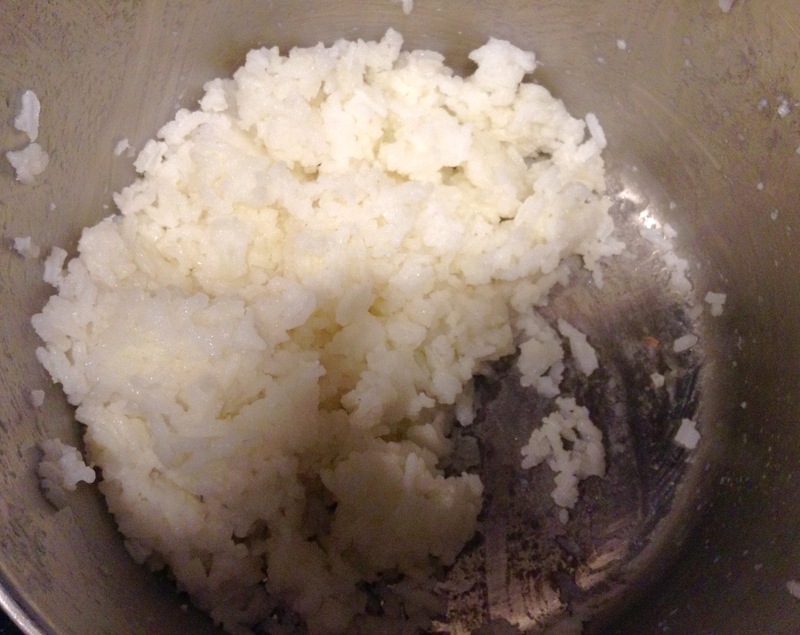 The photos speak: you can see that the first batch, made by my friend, is sticky, clumped and gooey, while the same rice product, made by me, came out fluffy. FLUFFY LATINO RICE — There are only two simple tricks! 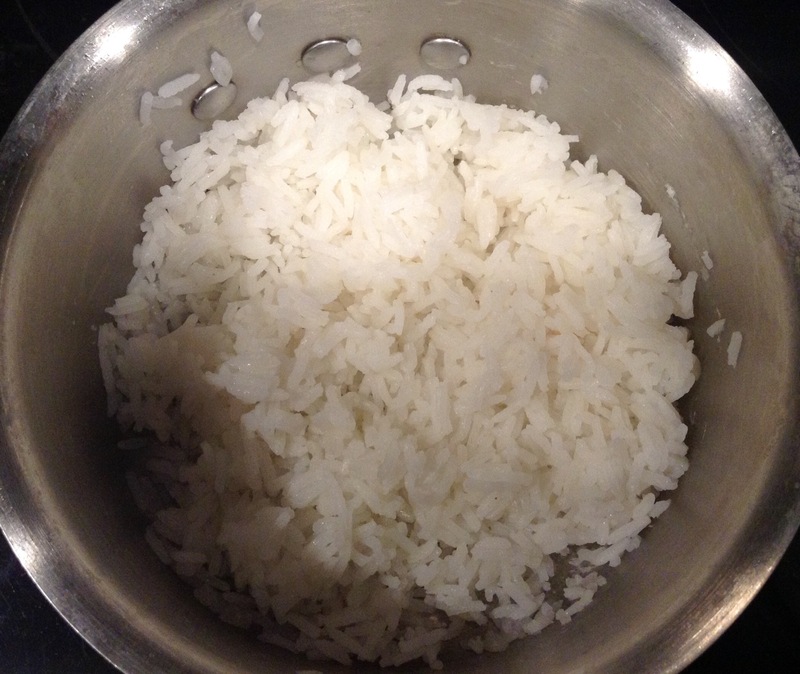 Measure out a cup of uncooked, white rice and place in a bowl. Rinse this rice until the water runs clear. (Some save the first rinse-water for soups. See tip below). Drain/strain out the water in a colander. In your favorite pot for rice cooking, heat two tablespoons of oil or butter. Dump your rinsed and drained rice into the hot oil and start sauteeing. Stir until the rice seems dry but does not brown, about a minute. Now pour water or chicken stock over your rice until the rice is covered and the water level measures about as high as your first knuckle above the rice…about 1/2 an inch. I use my index/pointer finger knuckle and I do this by eye. It is not an exact science and this does not matter. Bring the liquid to a low boil. Then cover and reduce heat to a simmer and let cook for about 15 minutes. Lift the lid and check by picking out a fork full and tasting. Is it dry? Add 1/4 cup of water, cover and cook on low another 8 minutes or so. When you feel your rice is done, just turn off the stove and let the rice sit in the pot. If your rice develops a hard, crusty and golden layer at the bottom, no worries! 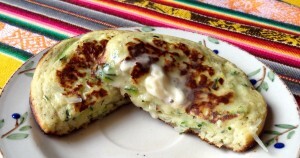 This is called the “dorado” and many people think it is a treat to get some of the crust. A Filipina friend of mine sets aside her first, cloudiest rinse-water from her rice wash — the starchiest batch –adding this to broth to an give her soups that, milky-cloudy, Asian look. I have developed a liking for eating rice with breakfast eggs, especially fried or sunny-side up. When using your rice for making Fried Rice dish, or Arroz con Pollo, wait until your rice is cold, cooled or one day old to use for this type of dish. Freshly cooked, hot rice will not give you the desired result. For extra flavor, when you add your liquid, toss in a whole, peeled clove or two of garlic if you like. You can pick them out when your rice is cooked. I could eat Pesto sauce all day long, but I tire of having it on wheaty, fattening pasta. 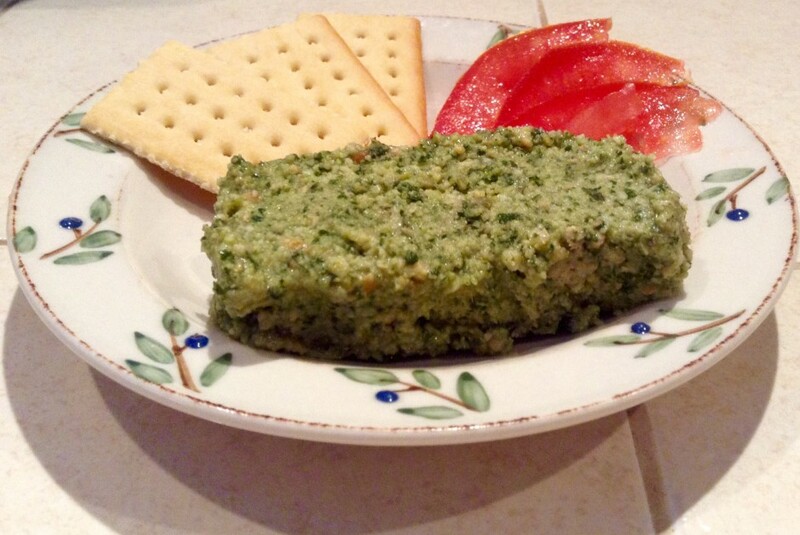 So I am always trying to come up with other ways to give my food the delicious taste of pesto sauce, such as tossing it with vegetables (try cauliflower or zucchini) or using it as a sandwich spread on wraps or break. But as I said, this gets boring. I am a hedonist; I do not do well with deprivation. 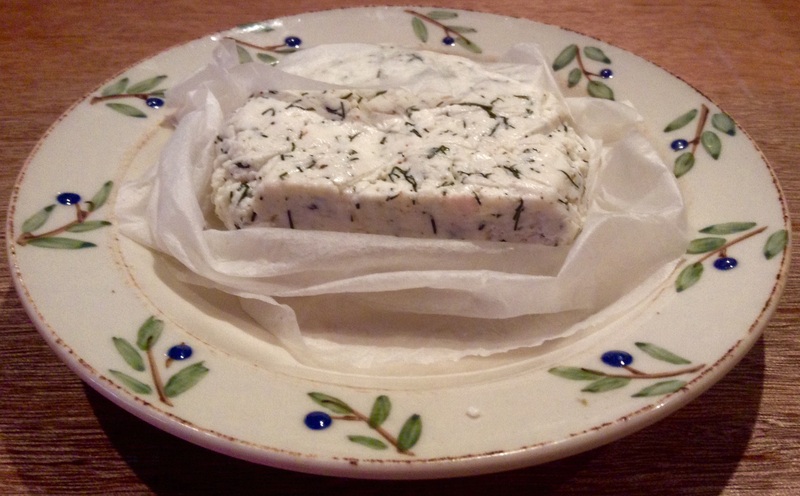 I wanted be able to eat something rich and smooth, something I could enjoy in the same way I used to savor a silky liver pâté, or dig a petite knife into a ripened, warm, gooey, pungent Brie, but without the meat or dairy. In other words, I want a low-carb Pesto decadence and I found a way to have it! 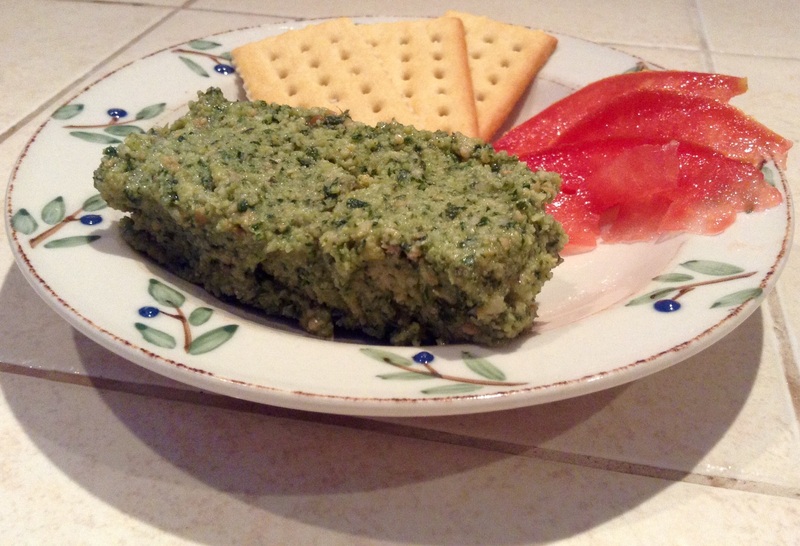 I came up with this delicious and satisfying Pesto Pâté, good enough to serve to company. Process the above by pulsing until reduced … but not puréed! 1 Cup grated Parmesan cheese (Vegan? Use a cheese substitute). Process until the mixture is chunky but still spreadable. Taste it. 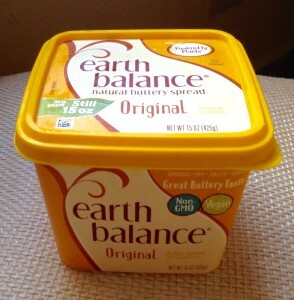 If you want a tad more lemon, or cheese, or salt, just adjust until your taste buds are dancing. Now, pack your mixture into any container and either freeze this… or chill. If frozen, just set the container on the counter for a few hours counter until you can tip it, intact, onto your platter. 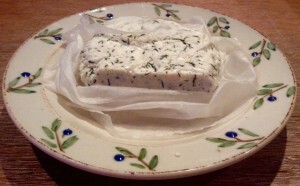 If refrigerated, tip & scoop onto your serving platter. Don’t worry if the shape comes out goofy because this mix is malleable and easily sculpted after it is on the plate. Keep refrigerated on the platter until you are ready to serve. Then place your crackers at the last minute. If you are Vegan, omit the Parmesan and replace with a vegan option. Gluten Free? Just find a good rice cracker in place of wheat. Slice large pieces of tomato or zucchini and use these in place of crackers for spreading. There are no rules to my salads except one: I never use store-bought dressing. In fact, I hardly use any oils at all, even the healthy ones. 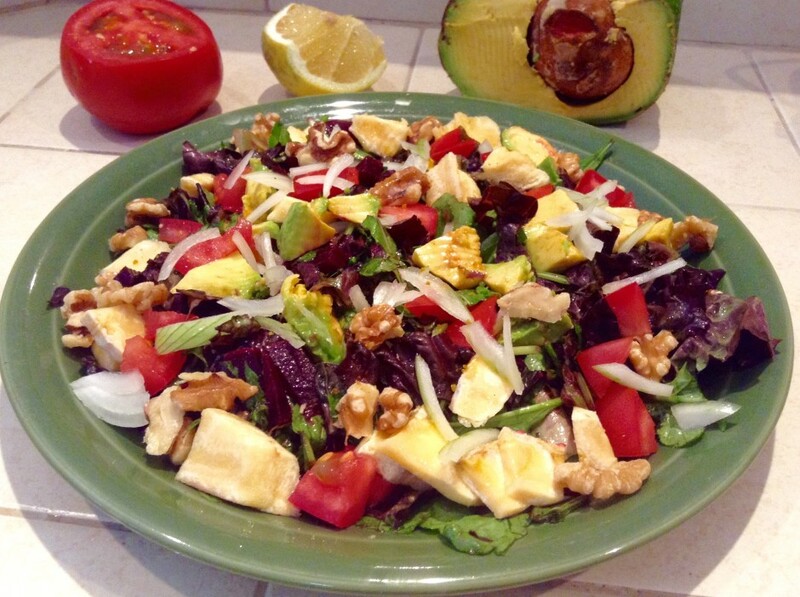 You can throw anything you want into your salad, but the more super foods you can add, the more your salad becomes an energy-sustaining meal, instead of a light side dish or starter. 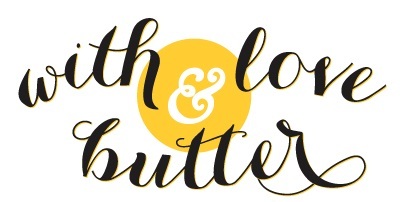 Denser food items will keep you feeling full longer and smooth out blood sugar levels longer. By the way, there is very little oil in this salad, making it heart-healthy. First, I grab a couple of handfuls of already washed, very dark, leafy lettuces. Generally speaking, the darker the green, the higher the nutrient content. I added arugula, which I try to keep on hand. Also, you can sneak in your beet tops. See BEET NOTES, below. 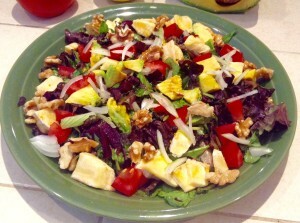 Next, I squeezed in about a teaspoon of lemon juice, since I used only a few handfuls of lettuce. Then, and here is the surprise, I added only two or three shakes of extra virgin, cold pressed olive oil. With these ingredients in my large bowl, I use my favorite Dollar Store scissors to cut (right hand) and spin the bowl (left hand) which chops and incorporates the lettuces, lemon, oil and seasoning. 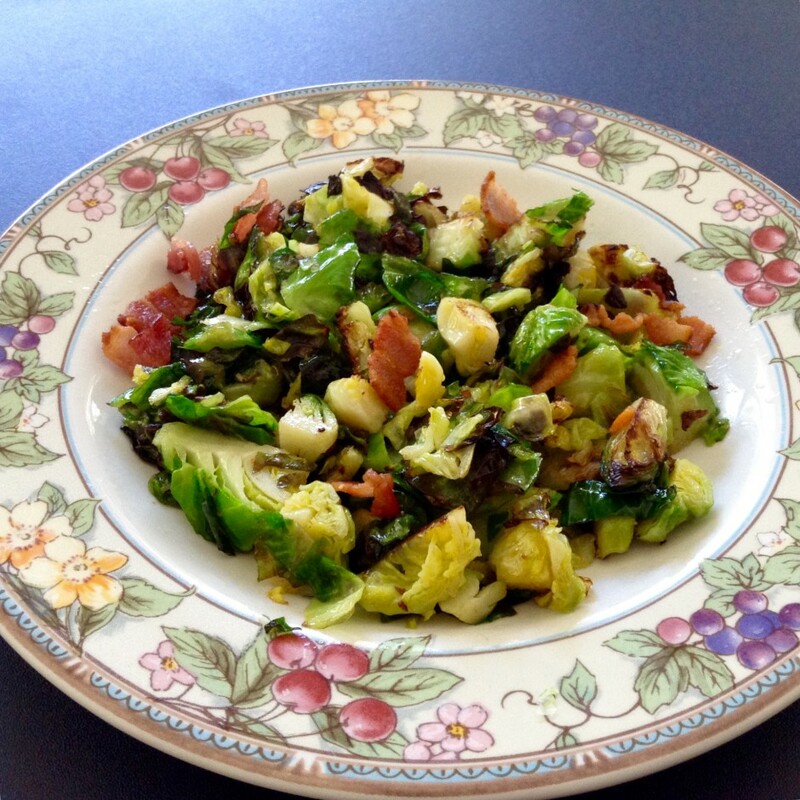 Now, cover a dinner plate with this tossed, seasoned and chopped lettuce mix. 1/4 cup sliced, then cubed Artichoke hearts, from a can. 1/4 cut fresh (boiled earlier) beets. *See note below on beets! 1 tablespoon thinly sliced Onion, white or red. Arrange these remaining ingredients around your lettuce in a way that appeals. 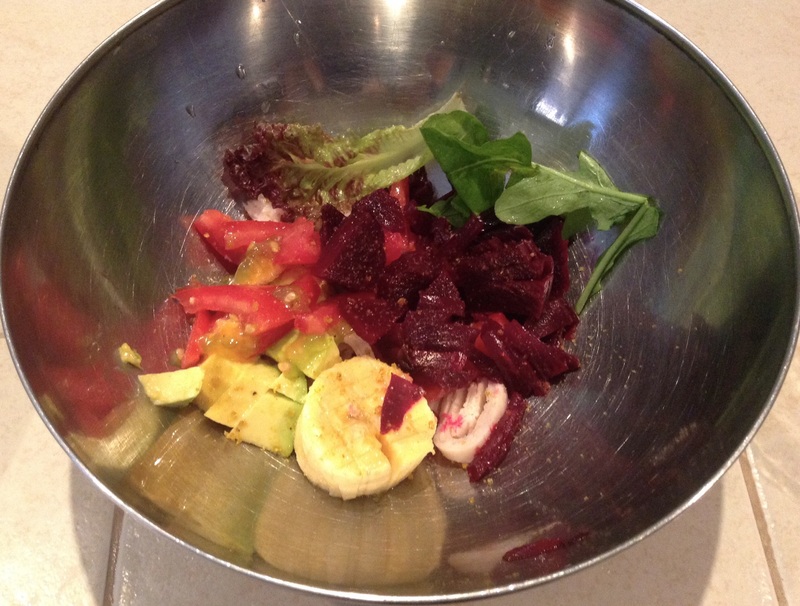 Start with the darker items, like the beets, which will serve as a nice backdrop to offset the lighter items, such as plantain, avacado, tomato. Onions and walnuts go on last. TIPS: If you really can’t wrap your head around beets, or think you can trick your family into them, think about adding steamed carrots or heart of palm. If you need more protein, go ahead and add a boiled egg or some lovely turkey breast. Grapes, raisens, apples, olives … and a little flax seed could also add some tang and substance. DRESSING TIPS: Rather than douse your greens with oils, in addition to lemon and seasonings, toss in a bit of your artichoke, olive, or pickle juice. Squeeze in a spritz of orange or mandarin juice. Or pineapple. All these liquids can add zing to a dressing without adding oils! Maybe they do. Or maybe the think they do. Boil your own beetroot but not until squishy. When you use them in a salad, they will still have a firm feel, even a crunch. And they really tend to take on the flavor of your dressing. Chop them small and mix them into dark lettuce. People hardly notice. SAVE the beet tops. The leaves are even more nutritious than the root and, you can chop these into your lettuces! Who will know? Beets can be processed raw and are lovely when combined with onion, mandarin, even a little citrus rind. Try them in a bowl with onion and Blue Cheese! Dreamy…. 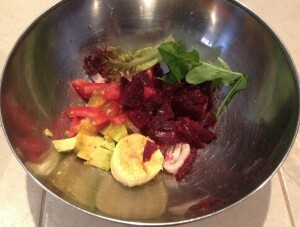 You can save and use the beautiful magenta juice in dressings, or even drink it. Taro Root has a surprisingly creamy, buttery taste on it’s own. So when you do add some zip, it’s even better. Taro is an interesting and different alternative to the white potato, plus, it’s easier on your blood sugar load. Boil together as you would potatoes, about 20 minutes, or until you can pierce a chuck with a fork. Drain away the water and don’t worry that much of the Rosemary and Pepper Flakes will wash away. Enough will remain. TIP: This would be easily just as yummy with Fresh Parsley, but tossed in at the end, after the boiling is done. I would use about 1/4 cup. Two foods I love to eat with scrambled eggs are sliced, cold tomatoes and, of course, potatoes. Any style will do, but sliced thin and fried in bacon greese is tasty. Ah, but I’m eating low carb these days. So instead of potatoes, I sliced up some Chayote from my garden. 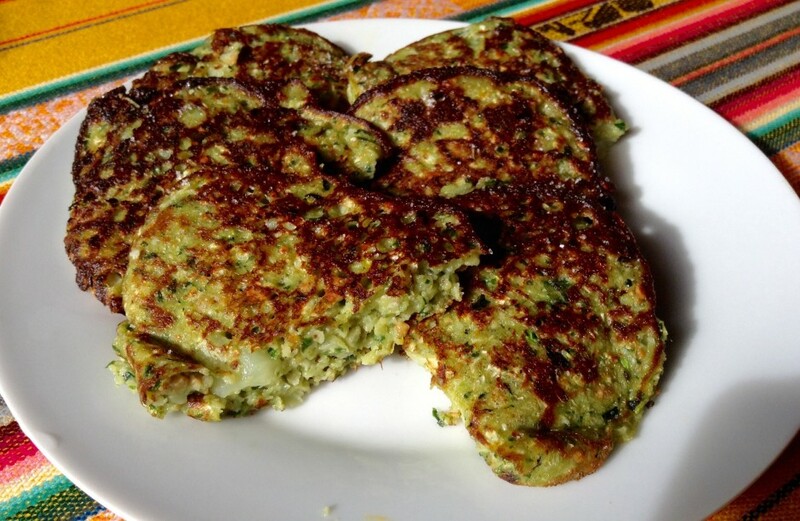 Chayote, eaten cooked or raw, has about 1/4 the carbohydrates of potatoes, but offers up the same amount of fibre. Peel 1 medium or 2 very small Chayotes under running water. Slice the entire piece into sticks, seed included, or in any shape you desire. 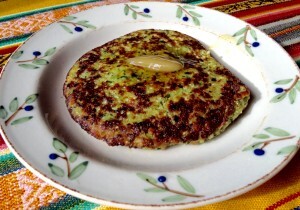 Now toss into a very hot pan laced with your choice of oil: olive oil, healthy butter, coconut oil, bacon grease. Cook on medium heat until they begin to bown a bit. Now flip then and leave to brown all over stirring occasionally. NOTE: Chayote do not take long to soften. 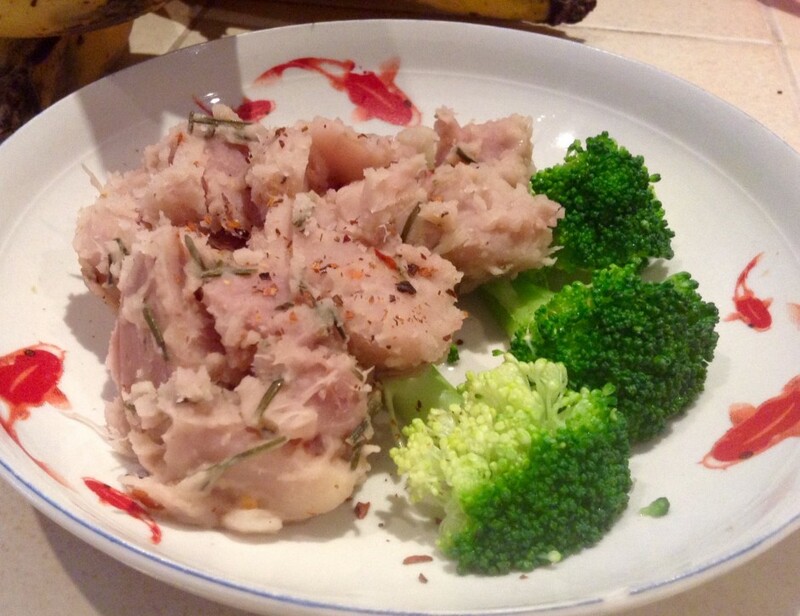 Chop 1 a cup of Broccoli into very small pieces. 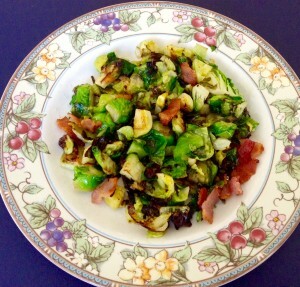 Toss broccoli & onion into a hot frying pan laced with hot oil or bacon grease or butter of choice and sautee for 1 minute. Add your entire egg mixture right on top of you broccoli & onion, stir to incorporate, and wait until the layer begins to bubble. Then slowly draw the edges in toward the center to make a fluffy scramble. I like mine on the soft side, but plate up when they’re done your way. 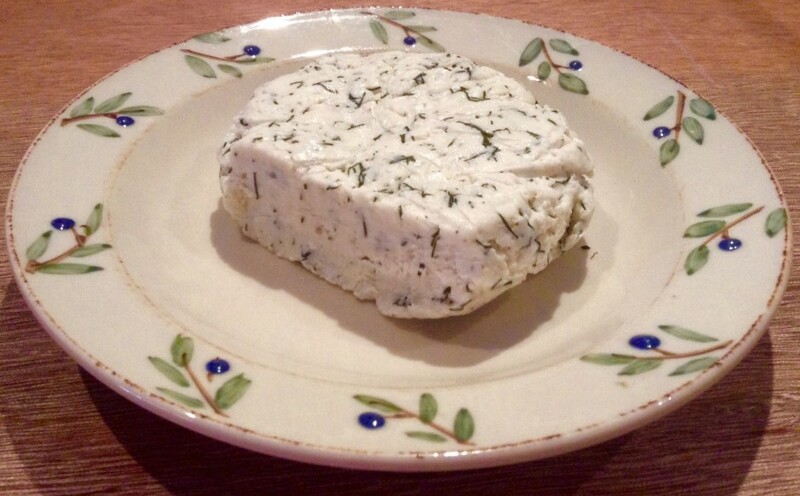 Garnish with Fresh Cilantro or Fresh Parsley or Chive. 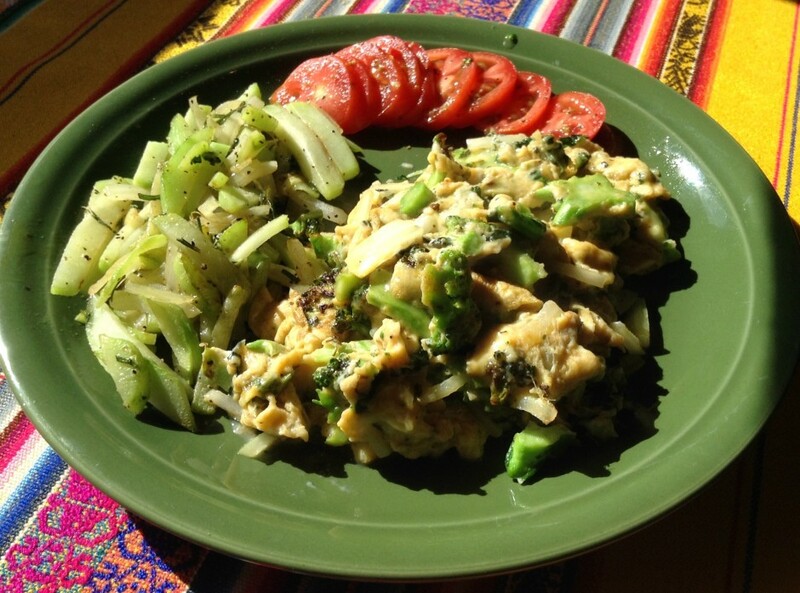 Scoop on a healthy spoonful of your browned & seasoned Chayote sticks. 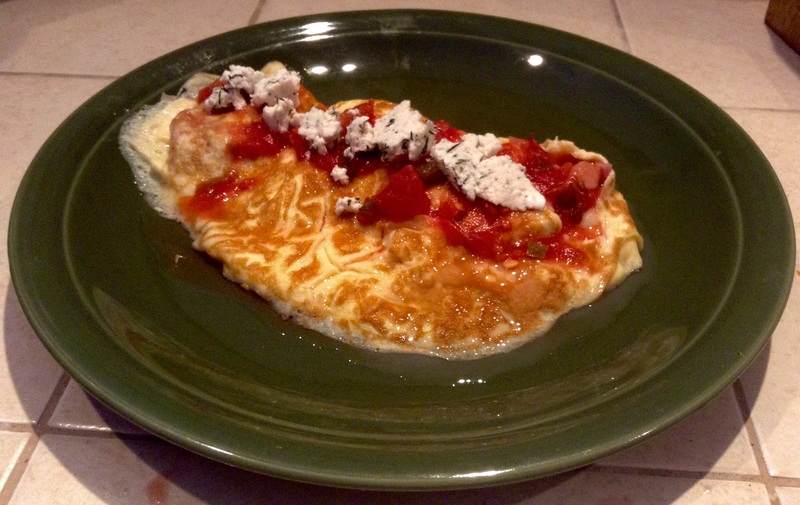 Crown your place with soe beautiful, sliced tomatoes & sprinkle with some seasoned salt. Now dig in! You won’t miss the potatoes and your carb count will be low! I love, love, love white rice, but bleached, white rice is not the healthiest way to go, especially for those with nsulin resistance, or worse, diabetes. Quinoa to the rescue! (pronounced Keen-wah.) Oh, Quinoa … let me count the ways and the whys that I love thee! Being technically a seed, Quinoa is free of gluten. Not only that, it’s packed with 5 grams of fiber, which makes it a healthier carbohydrate choice for low-carb. eaters. It also has a good amount of protein and it’s full of nutrients like manganese, magnesium, phosphorus, B-vitamins, and more. Quinoa is simply a super easy, super-food! 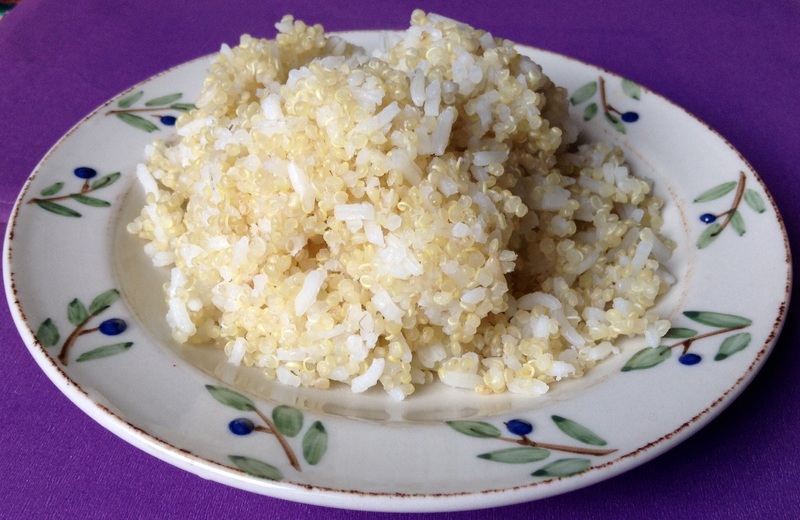 Preparing Basic Quinoa is as easy as… rice! Fill a pot with 2 parts water to 1 part quinoa (for example, 2 cups of water to 1 cup of rinsed Quinoa. Most purchased quinoa s already rinsed for you, but if it does not specify rinsed on the packaging, then rinse). Bring water and quinoa to a boil, then lower the heat to a simmer. Cover with a good lid, and walk away for 15-20 minutes. When the seeds “pop,” your quinoa is cooked! You may leave the lid on. You do not need to refrigerate right away. 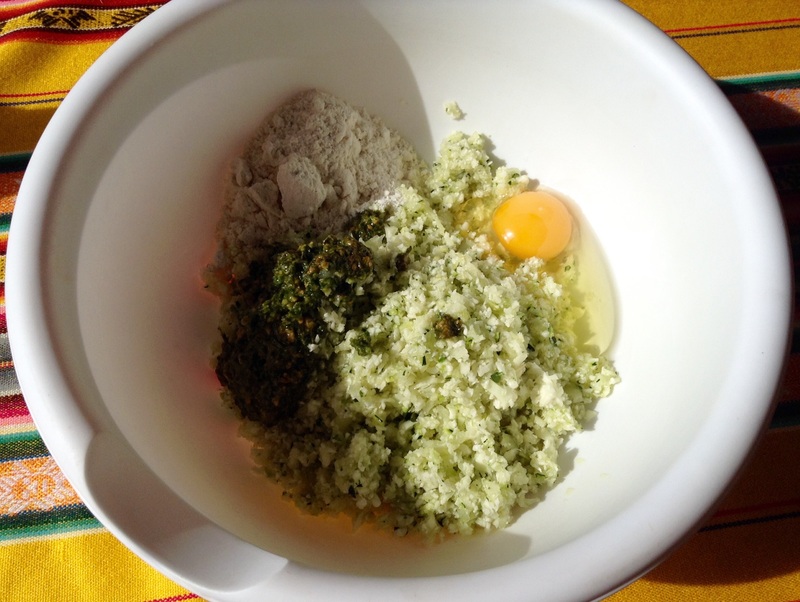 Here are a few tricks I like to use for jazzing up my Quinoa side dishes. Adding a small portion of rice makes a big difference in the “fluff” factor and also make this more expensive food item last a bit longer. 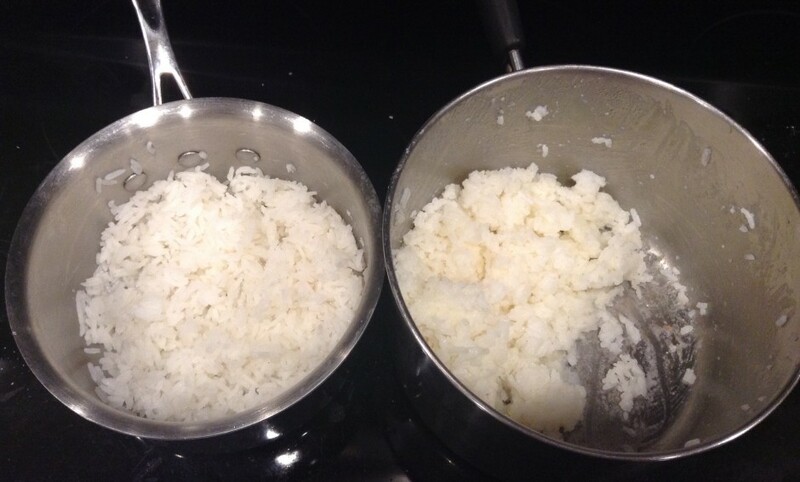 This little tip is also great for kid,s like mine, who have grown up where rice is a staple at most meals. They can be used to the texture and resistant to eating the healthier seed.Here is what I do: I sneak in 1 part rice to 3 parts Quinoa. You can use more or less according to your liking & also your pocketbook, but I use about 1/4 cup white rice to 3/4 cup Quinoa. Because the two ingredients are cooked in the same manner, you don’t need to do anything special. Your Quinoa will come out fluffier, and you and your eaters will enjoy all the health benefits of a healthy carb. without the guilt! 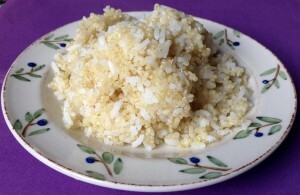 3 parts quinoa to 1 part white rice. Note: If you prefer to mix your Quinoa with whole-grain, brown rice, simply add the Quinoa to your pot 15 minutes before the brown rice is cooked to completion. Par boiled brown rice cooks up in about the same time as white rice, but whole grain, uncooked brown rice can take as long as 40 minutes! Quinoa never takes that long, so be aware of the timing. For Super Healthy Quinoa, chop a small head, or half of a large head, of cauliflower in a food processor until the cauliflower bits are the size of large bread crumbs.When your Quinoa/Rice is 3 – 5 minutes from completion, just add a cup or a cup and a half of chopped cauliflower right on top, replace the lid, and let the cauliflower steam up with the rice/quinoa mixure! Once your stove is off, and your quinoa/rice has sat a few minutes, you can mix gently with a spoon to fully incorporate all the ingredients. Note: Your children will not notice the cauliflower, as you can see in the photo! Quinoa w/1/4 rice & lots of cauliflower! eaters, or vegetable for the non-meat eaters! Add 1 or 2 whole teeth of garlic to your liquid, and remove when the dish is cooked. Go ahead and experiment, adding other, colorful chopped vegetables to your dish. When using carrots or longer-cooking veggies, just add them 1o minutes into the cooking so they have enough time to steam up to a softer texture. Store your cooked Quinoa or Rice/Quinoa in the fridge. Then heat up when you need it. I like to warm it for breakfast and serve with a poached egg on top. Treat it as if it were rice. Below, Quinoa with 1/4 white rice & Cauliflower, Prawns in Ghee with garlic & lemon, on salad. 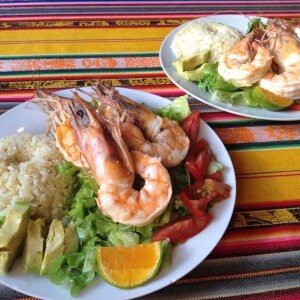 Quinoa w/1/4 rice, 1/3 cauliflower; Prawns sauteed in ghee w/garlic & lemon, atop a salad. 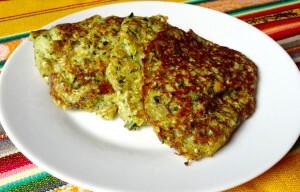 This recipe is not like my prior, Vegan Zucchini Cakes. This one is really a pancake. 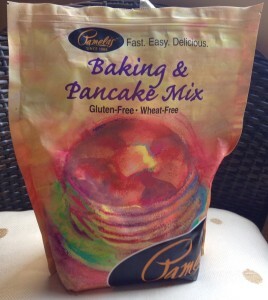 These pancakes are without dairy, gluten and low in fat. They are also vegetarian and what I call “almost Vegan.” They have eggs and a little milk. I personally no qualms about eggs, but only because I have access to really good backyard eggs where the hens roam and peck happily for hours. Also, I know some of the dairy farms that supply the milk I purchase. 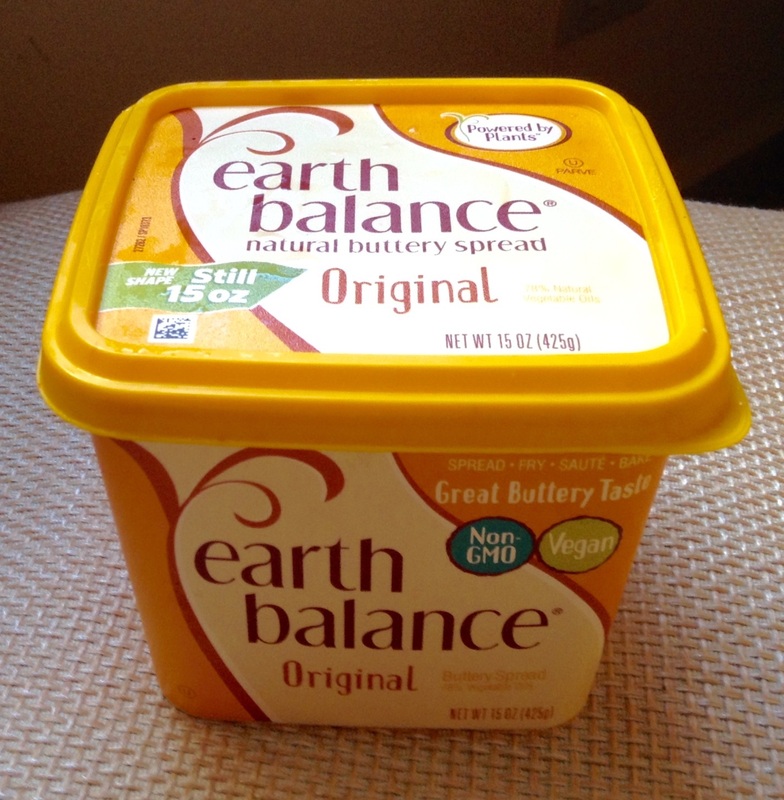 For this recipe, I used a handy,Gluten-Free mix and a touch of Butter Substitute, pictured below. 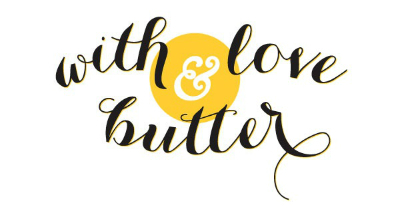 Feel free to use your favorite products. 1 Cup Gluten-Free Pancake Mix (you can add a little more later if the batter is too loose). 6 Small drops of Sriracha Sauce (hardly noticeable, even to kids, but adds a bit of zing). 1 Tsp. lemon juice (no more ) . Mix above ingredients together until well blended. Now, slowly add some milk starting with a half cup. Go Slowly! Use only enough until you achieve the desired consistency of your batter for pouring or spooning a regular batter into a hot pan. TIP: If you added too much, don’t worry — just sprinkle in a bit more flour mix! 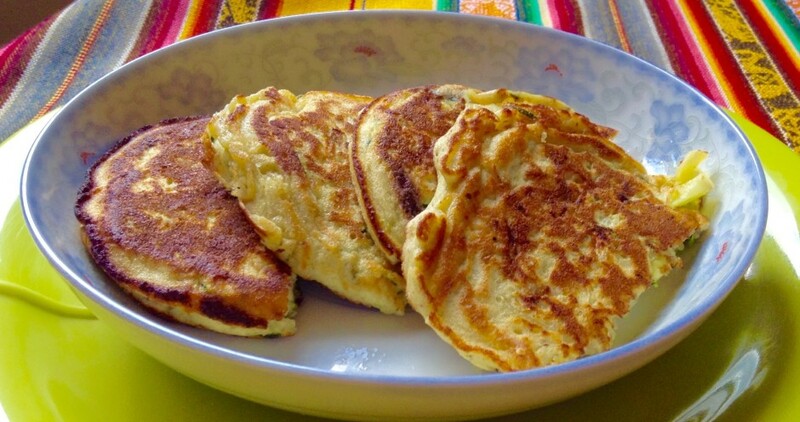 Pour or ladle into a hot pan or griddle prepared with either a Butter Substitute or Olive Oil. Immediately reduce heat to medium-low. Cook several minutes on the first side, until the uncooked side is bubbling and you can flip the cake without the uncooked portion sliding or spilling.Top with a dab of Butter Substitute and devour!